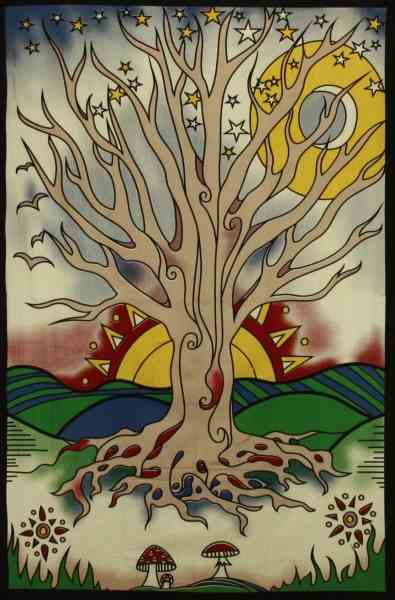 Discover the wonders of nature with our Twilight Tree of Life Tapestry. The Tree of Life visually depicts the interconnectedness of all living forms. The 100% cotton tapestry measures approximately 60" x 90". It can be used as a wall hanging, room divider, bed sheet, beach blanket, or window curtain. Great for use at a festival. It is equipped with specially-designed loops to accommodate easy hanging.